Rumoured to be dating Lucas Lima after the pair visited Disney World together. 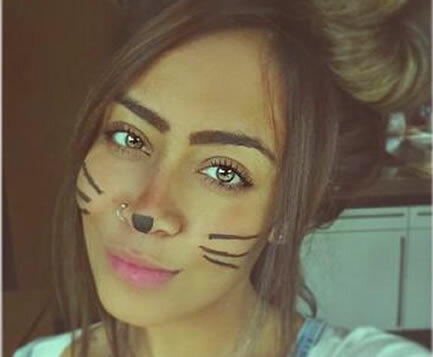 This is a collection of twelve photos of Neymar’s sister Rafaella Beckran – the social media star who shares a matching tattoo with her Barcelona-playing brother. Rumours that Rafaella is dating Santos midfielder and fellow Brazil international Lucas Lima have surfaced online after the romantically-linked pair went on holiday to Disney World, Orlando together.